SYNOPSIS: Based on Mary Norton's classic book series, The Borrowers, this movie follows the adventures of Arrietty, a tiny person who lives with her family under the floorboards of an old home in the country. But things get interesting when one of the human inhabitants, a boy who's come there to rest up before surgery, spots Arrietty one night. Violence/Gore. A Borrower is kidnapped and trapped in a glass jar, but later rescued. A human destroys part of the Borrowers' home. 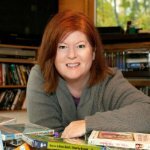 A main character has serious health issues, which could upset little ones. Drugs/Alcohol: One comical reference to an adult trying to convince someone she's seen little people: "Are you sure you didn't find the sherry again?" Which Kids Will Like It? Kids 6 and older who like Howl's Moving Castle, Spirited Away and other films by Hayao Miyazaki. Will Parents Like It? Yes, it's a beautifully moving film about loneliness and friendship, and the G rating is spot on. REVIEW: Ever wonder what goes on under your floorboards? There may be little people living there, borrowing sugar cubes and tissues while you sleep at night. That's the premise of The Secret World of Arrietty, based on Mary Norton's classic book series, The Borrowers. My kids – now teenagers -- are big fans of Hayao Miyazaki, the Japanese filmmaker behind this movie, as well as Spirited Away, Howl's Moving Castle and My Neighbor Totoro, among others. There's something about these films that kids immediately connect with. Maybe it's the simplicity of the storylines; the serene, Monet-like animation; or the beauty found in scenes filled with nothing but the sound of wind and thunder. Films like The Secret World of Arrietty restore my faith in the family film industry. Not every kids' movie has to be jam-packed with computer-generated animation, fast-moving characters and one pop tune after another. It's possible to make a riveting family movie that revolves around human connections, loneliness and friendship. The story begins with the little people under the floorboards. A young girl named Arrietty (voiced by Bridgit Mendler) is excited about her first "borrowing" expedition with her dad (Will Arnett) as her mom (Amy Poehler) worries nervously about everything that could go wrong. One of her worst fears is that a family member will get eaten by the cat. But that's how the Borrowers survive. They borrow little things that humans will never miss – a tissue here, a sugar cube there. Their goal is to get in and out, repel into a room like Navy Seals on a covert mission, then scurry back to their little home under the floorboards without being seen. But on this particular night, Arrietty is seen by a young boy named Shawn (David Henrie) who's come to the house to rest up before heart surgery. He doesn't expect to survive, and he and Arrietty form a secret friendship that helps both of them to be strong and brave. There's something really intriguing about things happening in the unseen spaces of our homes. And it's not like The Borrowers are scary or annoying, like ants or other unwanted pests. They're just like us, only tiny and perhaps more resourceful by necessity. But now that Arrietty has been spotted, the miniscule family will have to start looking for a new home. Borrowers are never safe when humans know they're there, especially humans who don't have the best motives, like the gruff housekeeper (Carol Burnett). 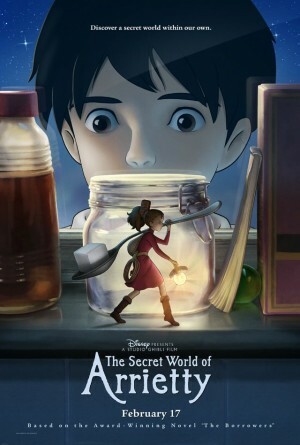 The Secret World of Arrietty is a perfect family movie for several reasons: It's based on a classic book series. It's rated G. It brings forth the beauty of the natural world. And it relies on great storytelling and animation rather than gimmicks. It also features a beautiful Celtic-inspired soundtrack from French-Brettone singer and harpist Cecile Corbel.